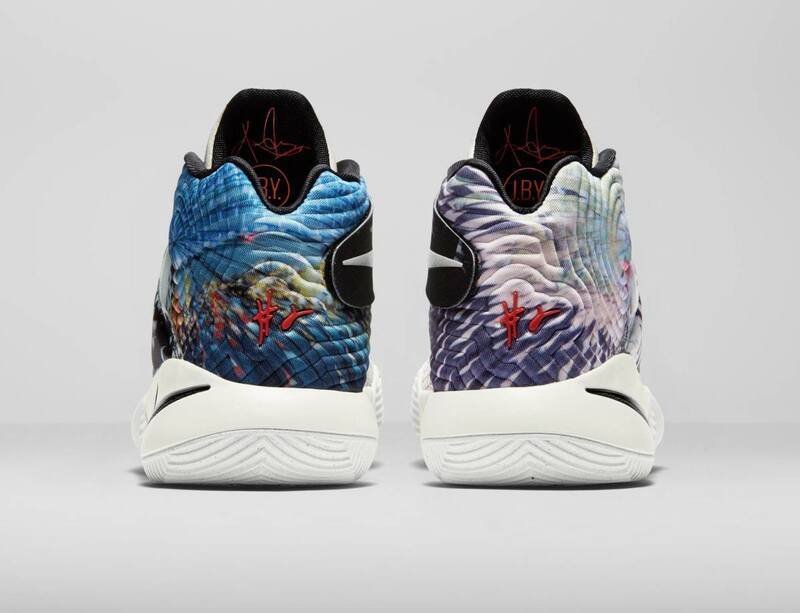 Nike officially unveiled the Kyrie 2 yesterday, showcasing its raft of performance benefits through an "Inferno" colorway that doesn&apos;t hit stores until January 2016. 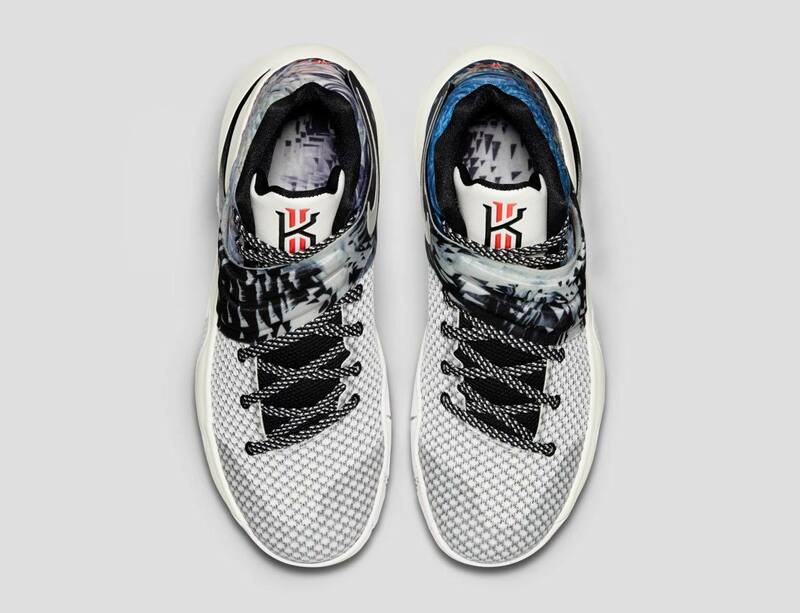 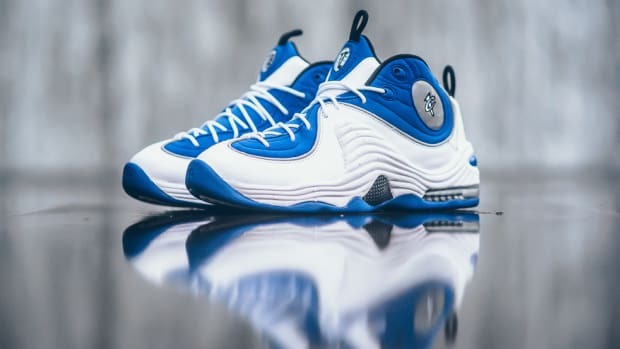 The first colorway, meanwhile, is this "Effect" edition, featuring a predominantly white base with tie dye-like blasts of color along the midfoot and back. 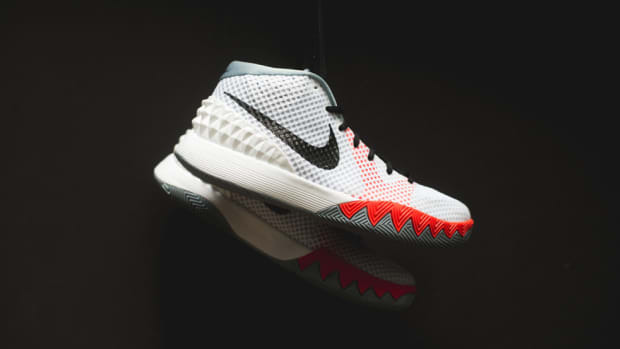 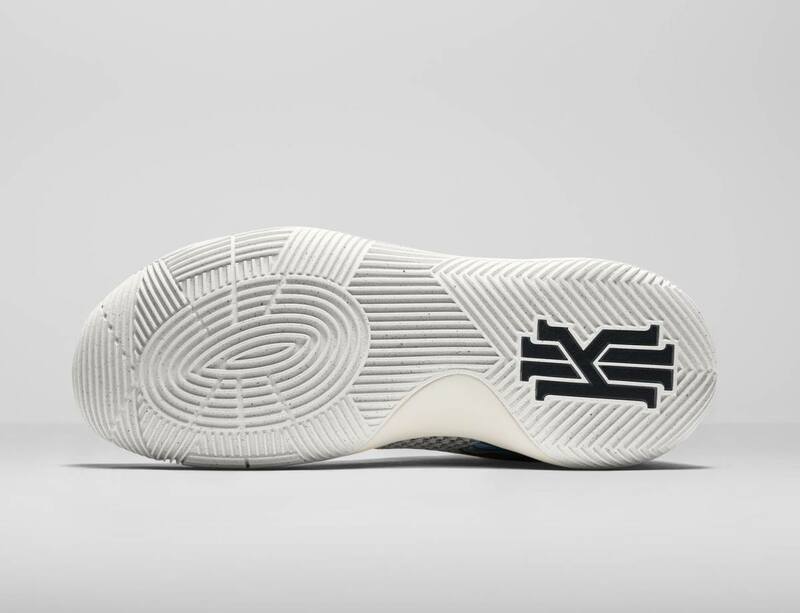 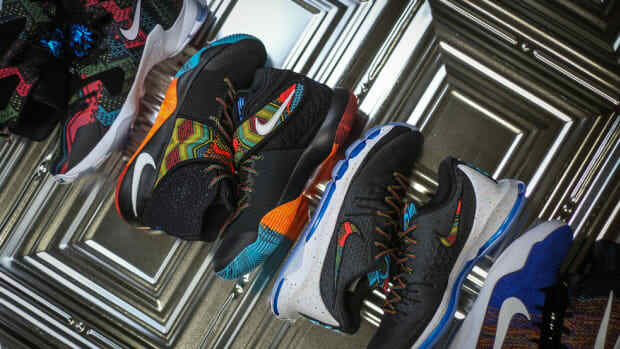 Complementing the curved-bottom outsole and midsole -- engineered to accommodate Kyrie&apos;s preternaturally fast crossover -- is a prominent Swoosh rendered in basic black, tempering the fanciful graphics overhead. 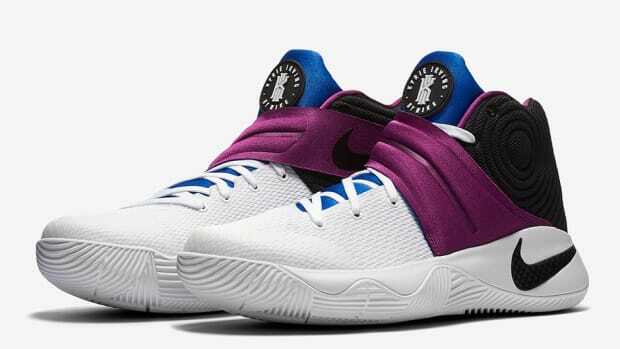 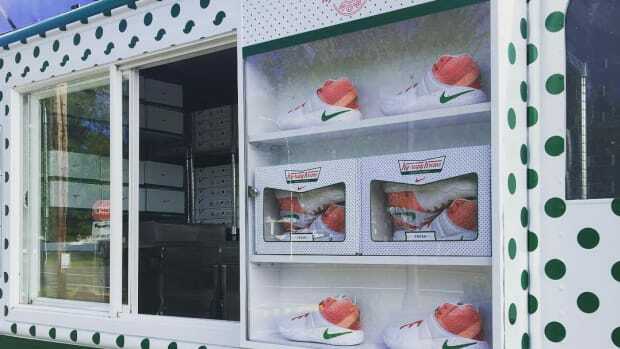 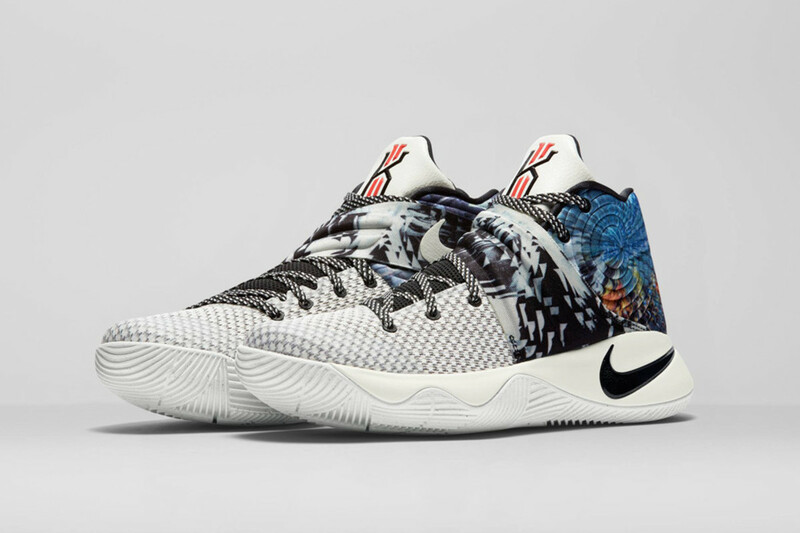 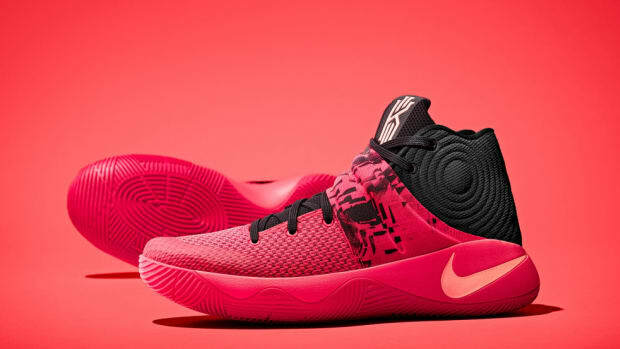 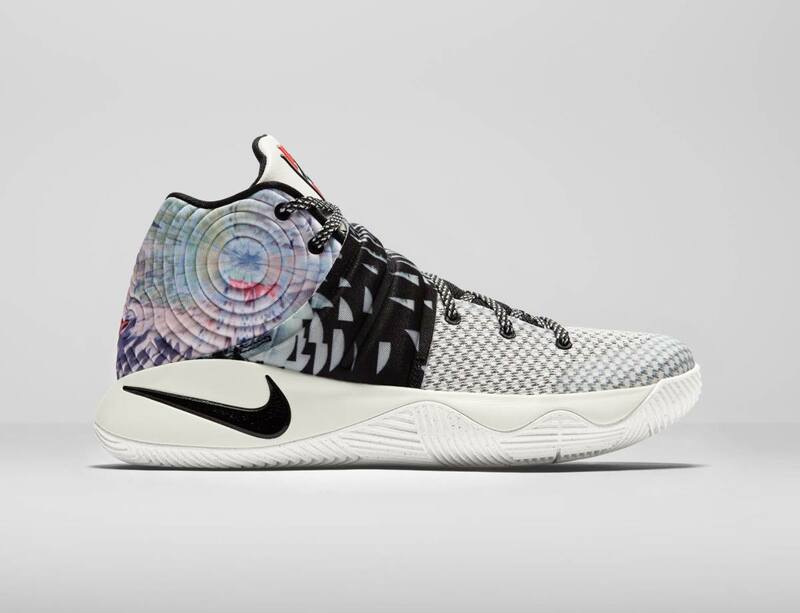 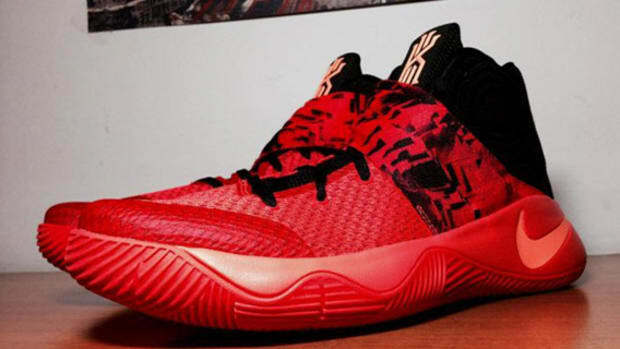 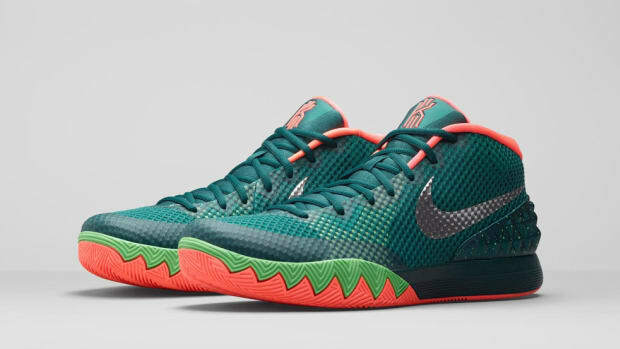 Look for the Nike Kyrie 2 "Effect" to hit stores on December 15.